I know I've been a little MIA lately but life has been so hectic with school, applying for jobs in the real world and interviews. I will be back on schedule this upcoming Thursday I promise all of you! 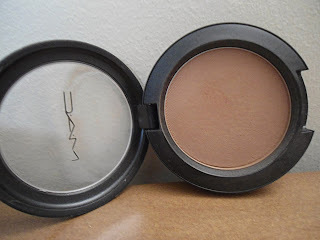 I had been looking for a contour colour that would suit me for a very long time. 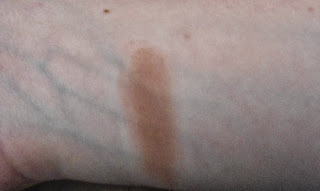 I’m so pale that most colours would be way too dark and look extremely muddy on me. I finally decided to go get help at the MAC counter because so many brands in Sephora weren't suiting me. The girl recommended that instead of trying a bronzer why don’t I opt for a matte blush that is the shade of a more contour colour. 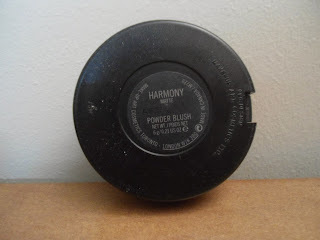 This started my love affair with the shade Harmony. I could never use this shade as a blush and it’s the perfect shade of a brown contour for my fair skin (I’m NW13 in MAC foundations). It’s super easy to blend and I like to streak it down my contour line so I place it directly where I want it and then heavily blend it out for the most natural look. I refuse to do my makeup without contouring now. I have such a round face that it makes a huge difference and I realized no matter how fair I am I can contour, I just had to find the perfect shade for me! I hope this helps all of you fair skinned girls if you were struggling like I was to find a contour shade. (Don't mind my super veiny arm in this picture I was in a rush and I didn't check my pictures before getting ready to upload them. It's really late and the lighting's not the greatest either). Do you know of any good contour shades for pale skin? Have you ever tried Harmony?